Baseball has the odd custom of allowing coaches on the field to coach players as they run around the bases. They stand just off the diamond at first and third. Their job is to provide an extra set of eyes for the runner and raise the alarm if the pitcher tries to throw them out between pitches. This is primarily the job of the first base coach as players on third typically won’t take large leads away from the base. 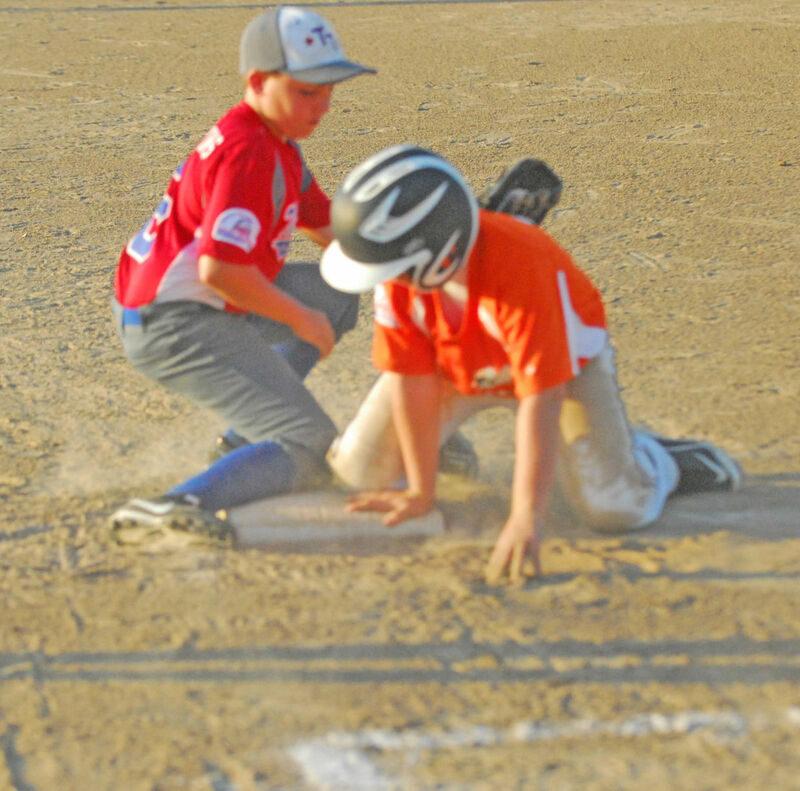 When the base coach sees the pitcher begin to move toward the base he yells, “BACK!” The primary job of the base coach is to keep the runners safe and able to score. A runner on third is in scoring position. He made it out of the batter’s box, has navigated his way around the perilous infield, and is 90 feet away from scoring. It is the point in the game where the long-sought rewards are so close that undue risk is foolish. Do you see my analogy? When markets increase, almost non-stop for eight consecutive years, very few folks have any fresh scars. In fact, they look pretty healthy and robust. The scars are mostly healed, and the intense pain is mostly forgotten. Warnings to be careful sound less urgent, and the folks climbing in the thinner branches appear to be having a better time than everyone else and no one seems to be falling. These are two new metaphors for those who are counting. My friend Corky describes arrogant people as having been born on third base and acting like they hit a triple. When you’re on third, you’re way ahead of the game. On CNBC’s Halftime Report this week, I made an argument that is haunting me. I said that the market isn’t more expensive than it was a year ago. I argued that while share prices rose in anticipation of stimulative Trump policies yet to come, earnings growth has kept price-to-earnings multiples about the same. Make no mistake, stocks are still expensive, but they have been for a while. I’m haunted because I don’t want to give anyone the impression that I’m complacent. I’m not. After thirty years in this business, one’s instincts often prove accurate. But after that much time, I’ve learned to rely on dogged research and long-held discipline. Instincts, no matter how accurate from time-to-time, will fail at a crucial moment, and I will not risk being too far from third base. This is the point at which many investors are feeling sanguine about their account balances and net-worths. They should be happy. But they should not be greedy. This is not a time to take on undue risk. It is a time to count one’s blessings and practice caution. With so many folks asking when this market will fall, my instinct and experience tell me it probably won’t fall anytime soon. It will probably become more expensive before it ultimately corrects. But remember, my instincts don’t matter; my discipline matters. We will follow that disciple that has guided us for decades to eschew risk and pursue opportunity for each of our clients. By the way, markets fall. It’s normal. We believe eventually this one will too. We don’t know when, but we trust our research and discipline to see us through. Our job as Investment Counsel is to yell, “BACK!” Stay close to third. We are almost home. Retirement goals are either already met or near at hand for many investors. Don’t get thrown out at third. It’s a long, sad walk to the dugout, and who knows when you will have your next successful at-bat. Thirty years ago, I was at my desk at Wheat First Securities watching the stock market implode: down 508 points in a single day. That would be a drop of about 4,600 points today. Can you imagine turning on CNBC to see the Dow down 4,600?! This was a time before desktop computers and the internet. We wrote buy and sell tickets in ink and took them to the wire operator who would send them to the floor. We would then watch our mail slot in front of the cage for a confirmation ticket with the number of shares and price of execution. This could easily take an hour on busy days. On October 19th the New York Stock Exchange was overwhelmed and traded over 500,000,000 in a single day! That had never happened before, and the exchange closed for the rest of the week to sort out the trades and confirmations and restore orderly trading. Some trades from the 19th were not confirmed until a week later. It was chaotic and very scary. Investors had assumed a good deal of risk. Among the largest risks was the use of margin accounts. Margin accounts borrow money from the brokerage firm against the value of the stock and bond accounts. When the value of the account drops because the market drops, they can reach a point of insufficient collateral and call for more money or securities to be deposited. If additional cash or securities aren’t forthcoming, the firm sells the stocks in the portfolio to raise the necessary cash. This is known as a margin call. There was a waterfall of these calls on October 19th and that selling continued the drive lower. I wrote in my book The Arrogance Cycle that beginning with the Tulip Bulb Crisis of the 17th Century, there has not been a market bubble without leverage. October 19th was awful. The Dow fell below 2,000. As we trade above 23,000 today, I’m reminded that suffering is a part of successful investing. Warren Buffet doesn’t panic and neither will we. We will hold our disciplined hand steady at the tiller through good and bad to do the very best job we can on behalf of our clients. Thank you for your trust and confidence, and please call us if we can help in any way.